A mighty little robot, absolutely packed with tech! Optical and proximity sensors, Bluetooth connection, LED lights, built-in speaker and so much more – all to get kids on the road to coding. A multiple award winner. Includes micro USB charger. 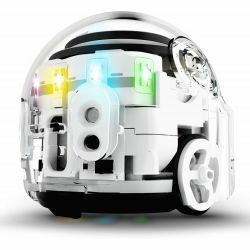 For ages 8 yrs-teen, from Ozobot.